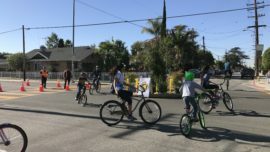 The goal of the Pasadena Safe School Zones program was to improve the safety of child pedestrians near schools. 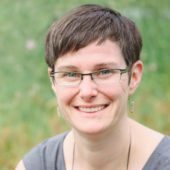 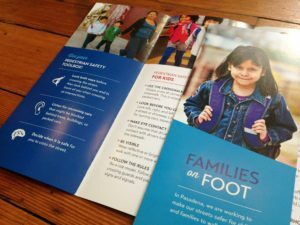 Alta addressed these goals with two parallel strategies: a media campaign primarily aimed at parent drivers, and an in-school education program to empower third-graders to walk to school. 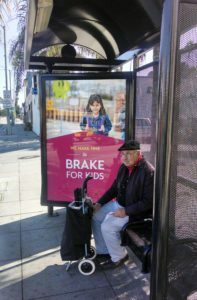 Alta led branding, design, and development of a high-profile media and web campaign featuring a series of ads in both English and Spanish with the theme of “We Take Time [to Brake for Kids, to Drive 25, etc. 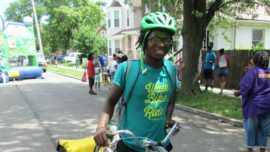 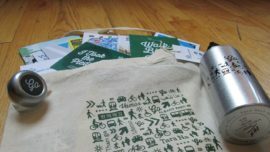 ].” The campaign included 4 billboards, 9 online banner ads, 20 bus shelter ads, 16 outdoor school banners, 700 community posters, 750 bumper stickers, 10,000 temporary tattoos, and 12,000 reflective zipper pulls. 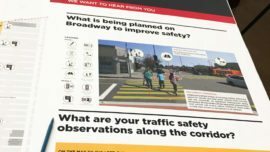 Alta conducted outreach to all Pasadena elementary schools using campaign collateral to engage children and their parents, and developed curriculum for and delivered in-class pedestrian safety training at seven schools.